JSC Baltic Aviation Academy, aviation training centre, successfully operating in Europe, CIS and Asia regions, announces the change of its name to BAA Training Aviation Academy (BAA Training). BAA Training headquartered in Vilnius (Lithuania) counts more than 20 years of experience in aviation training business. Starting from the Pilot and Cabin Crew training, today training academy is offering full range of pilot Ab Initio and Type Rating, Cabin Crew, Ground Handling, Helicopter and Drone training solutions. In addition, due to the strong background in aviation business management and developed know-how, simulators maintenance (SimHelp) and aviation business management software (MOMook) solutions were developed and became a valuable part of aviation industry. “Through the years of operations Baltic Aviation Academy has grown in terms of training branches as well as client geography. From the regional company we have grown into the global service provider entering new countries and continents every year. Today we operate in Europe, CIS and Asia regions, therefore the name transformation became only natural. Meanwhile, the successful experience of providing ultimate aviation training solutions globally forces us to continue expansion in the future”, comments Egle Vaitkeviciute, CEO of BAA Training. 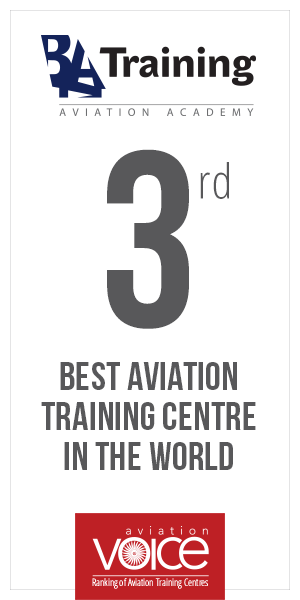 BAA Training (JSC Baltic Aviation Academy) is a part of Avia Solutions Group, widely known as a provider of the comprehensive aviation services. The Group integrates MRO services & supply chain, pilot & crew training, aviation staff leasing, ground handling & aircraft fuelling, aircraft management, business charter, as well as airport management service providers.